It’s Beltane time my witchy friends..saturday May 1! This Sabbat is all about Spring, fire, passion, fertility, the Union between the God and Goddess, and faeries! It is the celebration of Spring being here, flowers, trees and shrubs blooming, young animals being born, Father Sun burning bright and bringing warmth and longer days, and the faeries coming out to help our gardens bloom! I set up my altar a couple of days ago. I used a white base cloth for light, bright days of summer, with a grass green over cloth to represent Spring and everything greening up in nature. I place a red taper candle to represent Goddess and a white taper candle to represent God. I used my Gaia and Greenman statues to represent the Earth waking up and greening also. I have a faery, rose quartz, and a small potted blooming flower. I still need to make my mini Maypole yet. I also have the usual elements of my Athame and wand, and the 4 items representing the Elements which is my incense burner, a small green candle, a bowl of water and a bowl of salt. It looks lovely and a very good representation of Spring. I’m hoping if the weather is good to have a bonfire in our outdoor fireplace, to plant my herbs into their outdoor pots and I’ll do my Beltane ritual in the morning..to represent the coming of the Sun King as the Sun is climbing in the sky. I will leave a crystal point and a bit of bread with honey as a gift to the faeries and ask them to help me with my gardening and herb growing. They also will help to attract the butterflies, birds, insects, ground critters etc to my yard and care for them. I hope to find time to make oatmeal cookies or granola as grains are a good thing to eat for Beltane..along with dairy foods. Homemade granola on yummy yogurt would be perfect! I’m not going to have time to do May baskets but that is a lovely way to welcome Spring and to show your neighbors or friends appreciation for being in your life. How nice would it be to find a May basket hanging on your front door on May Day! I think I will though get a bouquet of spring flowers..daisies are my favorite!…for my own home. Open windows and let the fresh air in and the negative old air out! Start fresh on anything you want to change in your life..now is the time! Here in Ohio we have just had such a beautiful couple of weeks..the weather has warmed, the sun has been shining and plants and trees are blooming. I have purple phlox all bloomed out and gorgeous, my dogwood and crabapple trees are covered in white flowers, my lilac bush is bloomed and smelling wonderful, and even plants like coralbells, sedum and hosta are blooming! There are yellow finches, cardinals, blue jays and other small birds on the feeders. The chipmunks and squirrels are everywhere…I just love this time of year. Of course, my allergies are acting up too which is not a good thing but thanks to allergy meds I’m hanging in there. I planted small pots indoors of herbs and veggies and some of them are doing well and some haven’t done a thing! I’ll transplant the healthy ones to outdoor pots around Beltane..the ones that aren’t growing I’ll replace with plants from the garden center. We are hoping to build a garden shed/storage shed soon too. We had to take out some dead trees this year and trying to decide what we are going to do with the empty space they left behind. I hate losing trees but I’m hoping to plant flowering bushes or ornamental trees in their place. I’m anxious to get my flowers planted too but here in Ohio its best to wait until around Mother’s Day to do it..we can get frost pretty late in the year..for instance, it was only 32 degrees night before last! Beltane is coming up fast..I’ve got to buy a white tablecloth for my altar then I’ll top it with a grass green scarf to represent the color of spring and things blooming. I’ll decorate it then for Beltane which I’ll discuss in the next post after I’ve done it! We are hoping to celebrate with a fire in the woods, planting my herbs outside, offering a gift to the faeries, and fixing a feast! Here’s hoping you all are having a beautiful Spring too…remember, You can make it so..just go outside and embrace the Earth waking up around you! Thursday is Earth day so do something good for you Mother Earth..at least take a walk and maybe pick up some trash while you’re walking or drop some wildflower seeds along the way, or plant a tree or two! Say a prayer to the Goddess and God for the Earth and her gifts. So on to more positive news…my herbs and veggies are growing in their little pots…once it warms up a bit more, I can move them outside until it is time to pot them. Not all of the seeds are blooming yet…some take longer than others. My book of shadows is coming along. Its been alot of work and time consuming but all fun! I love seeing it come together and I think its beautifully done and I’m very happy with it. My sister, daughter and I are enjoying working on our books together. My daughter Willow, sorrowfully, hasn’t received her book yet…..but she is also working on her pages. It’ll be fun when her book gets here and we can have days we are all together working on them. Beltane is coming up fast…we’re going to spend a day making small maypoles for our altars and flower circlets for our hair. I’m hoping my husband will help me have a bonfire in our woods that night. Beltane is a lusty festival! All about fire, dancing, prosperity, fertility and fairies! A fun and happy time, knowing that warm summer days are on their way. It’s a good time to start gardens too. A feast is expected with good wine and good food! 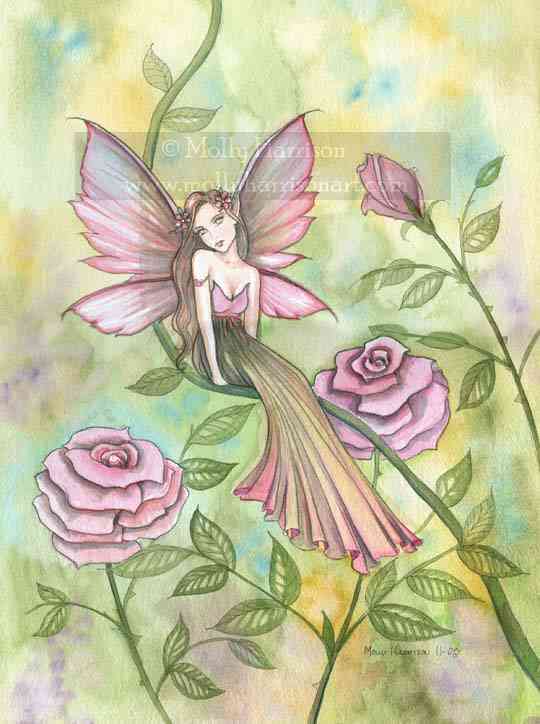 We will be giving gifts to the faeries to let them know we are aware of them and appreciate their help in our gardens! So again, on the new moon, start that new project or start healing, and recognize that the Goddess is there to help you. Today is Easter….Happy Easter to those of you who celebrate it. In my family, we celebrate it mostly because my parents and sister are christian. This year however, due to a family situation, we didn’t celebrate it with all the family. My husband, daughter, family friend and I went out to breakfast and the weather is beautiful and we had a nice time. My daughter Willow and her family spent this year with her husband’s family. They are so busy on the holidays trying to see all the family on both sides that they have to alternate between families..this was not our year :(. The had us over friday night though for a cookout which was fabulous. We brought our little grandaughter Lily her Bunny basket, had grilled burgers and good company and this early in April the weather was 80!! It was awesome. A few days ago was the full moon. I made up Blessing Oil and my Blessed water under a starry clear sky. However, even though it was like 10:30 at night, and the moon was full, it still wasn’t showing up in the sky. Funny how it comes up so late in the night this time of year. It was a warm, gentle night and while I was communing with my God and Goddess, I saw a shooting star! It was amazing as I don’t see them very often. I took it as a response to my prayer and felt at peace after. I also like to recharge my jewelry, crystals, altar tools etc in the moonlight so I did that too. I love that Spring and warm weather are here again and I can be outside to commune without having to bundle up! Put in a pretty bottle and use it to bless your altar, candles, yourself after a ritual bath, or your tools. You can also anoint your doors to bless your home. Many uses and it smells great! This is a double batch, feel free to 1/2 it. I decorated for Ostara, both Altars, and left them up for Easter as the symbols, eggs, lamb, bunny, spring flowers etc are the same. I’ll be undoing them tomorrow and getting ready for Beltane. I’ll talk more about Beltane in the next month as Beltane is also known as May Day and is on May 1. My Book of Shadows is coming along slowly but surely. I love working on it and seeing it come together!